I share lots of tips on Youtube. Join me there! 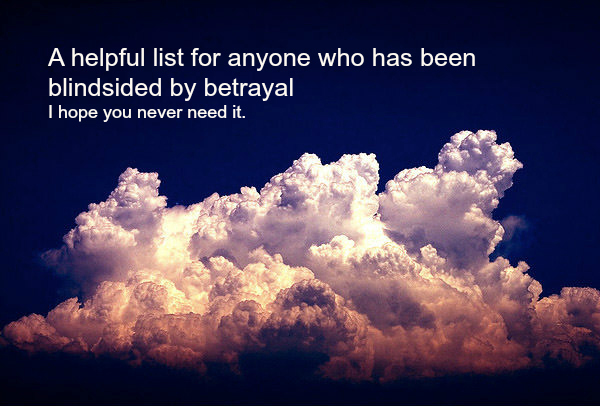 If you've experienced betrayal, I am so very very sorry. You know that it's not about you, but it doesn't make the experience any easier. You’ll move through several stages of healing after betrayal, especially if the person was someone you loved & trusted for a long time. These tips may help in the first stage, crisis. Click above for a PDF. Feel lost? Feel like you don't REALLY get what intuition is? Perfect. This one's for you. Sign up below, and I'll send you a 45-minute video called Introduction to Intuition. It's a webinar I did in 2017, and it includes a description of what intuition is & how you can connect with yours. Best yet, it's for beginners! You'll join my email list with a newsletter and marketing offers, & you can opt out at any time. Thinking about making video for your website, blog, or small business? Not sure how to do it? This handy cheat sheet is for you. It has some simple reminders that will help you make videos that look & sound professional. It's super easy. Click above for a PDF.